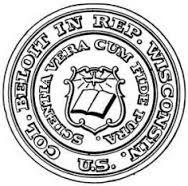 The Beloit College community is diverse and noted for its passionate engagement with ideas and the world. Its 1250 students are from nearly every state, the District of Columbia, and 40 nations. Twenty-seven percent of its students are domestic minorities or students from countries other than the United States. No more than ten percent of a graduating class is represented in any one of Beloit's majors. 97% of Beloit's 105 full-time faculty members hold a Ph.D. or the highest degree in their field. Teaching is the faculty's highest priority but all professors are active scholars and artists. Many are leaders in educational reform. Professors serve as mentors, guides, and partners on research projects and academic work. A strong tradition of student-teacher collaboration contributes to the college's lively intellectual community. Beloit offers more than fifty majors, more than thirty minors, and a number of dual-degree and preprofessional programs. A flexible curriculum, grounded in rigorous study encourages independent research, fieldwork, and collaboration with peers and professors. Coursework is interdisciplinary, experiential, and global in scope. The average class size is 15 students; Beloit has a 12:1 student-to-faculty ratio.